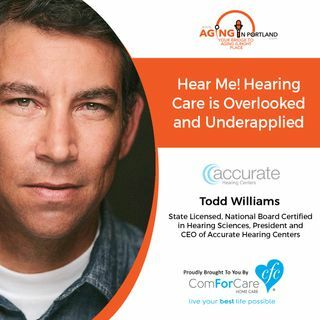 Hear Todd Williams of Accurate Hearing Centers! While hearing devices are a necessary tool to present the brain with the auditory information that the ears won't carry naturally, this is only the beginning for our patients. We spend the majority of our time and resources after the fitting of hearing devices utilizing deliberate listening exercises aimed at strengthening the brain's cognitive ability to process sound accurately.